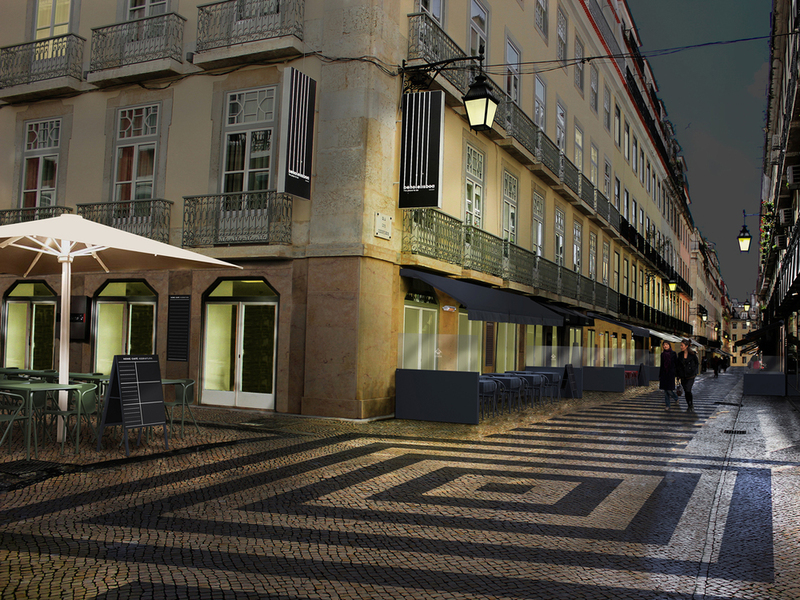 Pedro Sottomayor formed a team together with can ran and Whitestudio to win the design competition for the development of the new layout, regulation and equipment for the outdoor areas of the cafés in central Lisbon. The team sets out to reinstate the historic character of Lisbon and so attract and retain weekenders and tourists, whilst also meeting the needs of retailers that have established businesses in the area. These are indispensable requirements for improving the area for a future application as a World Heritage Site and also for providing local residents with a regenerated, coherent, comfortable and enjoyable space. The proposal’s main objective is to respect each shop individually, providing several options and choices for their outdoor equipment. The project acknowledges that Lisbon is very much reflected in the history and originality of its small stores. However, it also defines important constraints that minimize the risk of visual chaos. The proposed equipment solutions provide retailers with the conditions to better receive their customers, while adding new attractions to an area of ever-growing attraction for visitors. The main changes are located on Rua Augusta, the iconic Lisbon street that has been pedestrianized so that people can walk unhindered along one of the most beautiful promenades in the world. Another highlight is the upgrade to the charismatic Rua dos Correeiros, which has now become an excellent venue for a great meal – whether it’s winter or summer, daytime or night-time. The choice of equipment centred on a few classic models, complemented with new products inspired by them. Pedro Sottomayor has designed Maria and Manel, two chairs influenced by a classic item of Portuguese street cafés, and also Vento, a wind breaker that protects against sudden weather changes and ensures greater user comfort. The overall design of the project is calm, quiet and simple: a colour scheme consisting of seven shades, with the two main colours, chalky white and black, inspired by traditional Portuguese sidewalk paving, complemented by five more options. A single font was chosen for all communication needs and a number of graphic patterns were designed for use on menus and tablecloths. The competition was organised by Santa Maria Maior Parish Council in cooperation with MUDE, Lisbon’s Design and Fashion Museum.